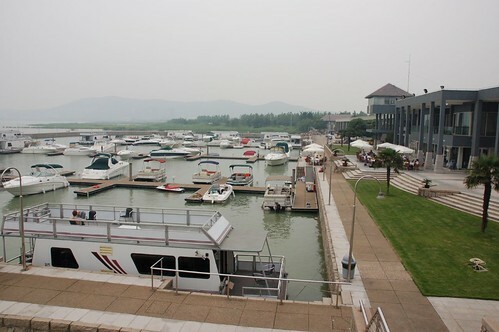 I am happy to be invited my my friends at Suzhou Taihu Mercury Club to join them for one day of boating and BBQ. After sailing with BV guys in San Francisco, I deeply fall in love with boat, although currently, I can only afford “model boat”. 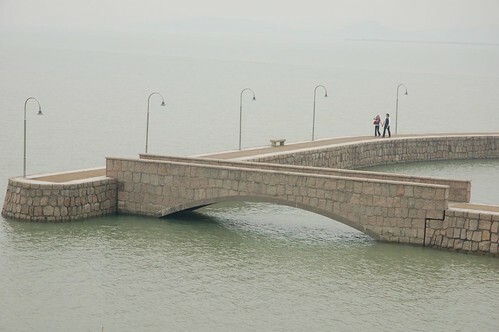 I sank in the Dishui Lake one month ago. 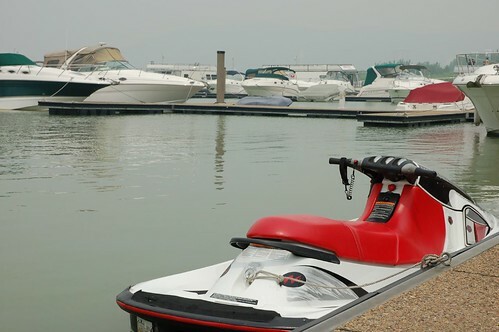 The Suzhou Mercury Boat Club is the most professional boat club in China – the only one in its grade in the entire country. 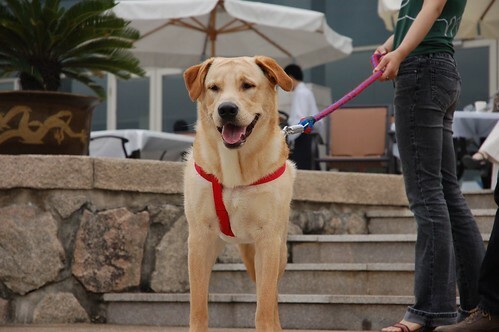 It is based at the West Hill area of Taihu, with very nice facilities. Let me show you the pictures of my day. 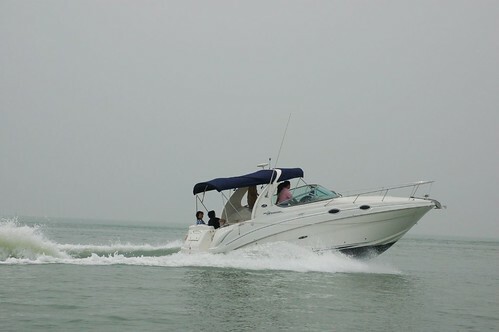 Boat is still a luxrious entertainment in China. Even in the Rich People club, boat is not mentioned. 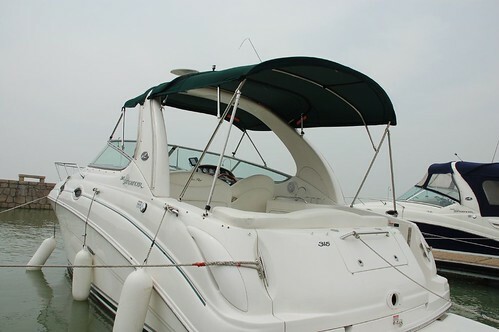 On one hand, when a golf club membership raises to about 80,000 USD, the boat membership relatively reasonable (130,000 RMB), but the boat is much more expensive than outside China. 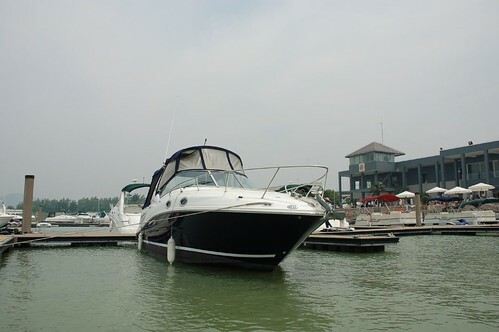 For example, Sea Ray Sundancer 2xx costs more than 2 million RMB, while it is jus around 1 million in U.S. (Based on what I HEARD, without research). 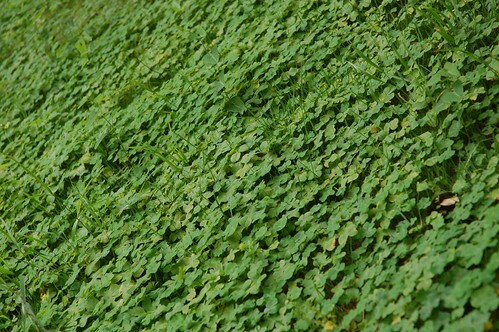 It is close to my home in Shanghai, in term of distance. It is about 120 KM away, exactly from the parking lot to their parking lot. I turned on the meter when I am back. I can get to A9, turn right at A30, and exit immediately at Daying 大盈 exit. 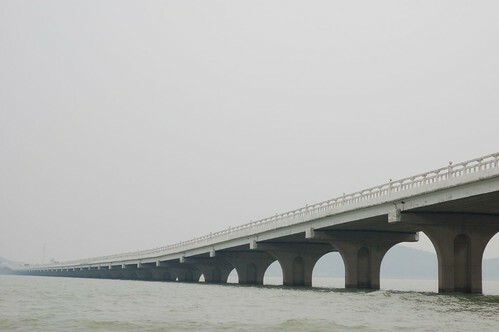 The Suzhou-Shanghai Express way is completely, but not connected to A30 yet. So I have to go around 10 km west and get to the Suzhou-Shanghao Express. Not many people knows that experess, and there is definitely no cars running on it. Then the West Hill 西山 exit is 63 km away. It takes less than 2 hours to get there. I like the style of boat owners. They put everything in order, including ropes. 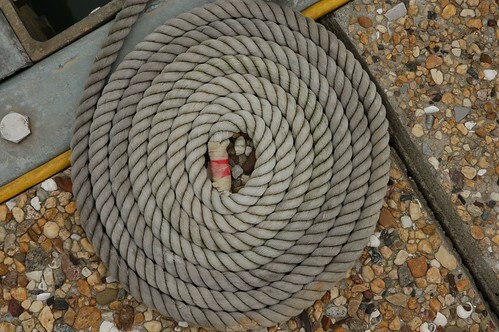 I enjoy to see all the ends of ropes were well arranged like this. Another interesting part of boating is to be able to get to an island that not many people go, and see those untouched grass land. People practice to get ready for the Dragon Boat Champaignship the next week. 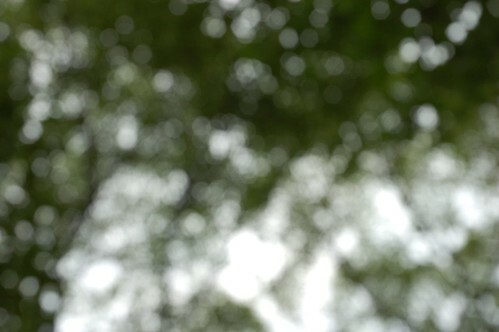 I intentionally changed the focus of this picture so it came out with blured image of the large trees above us. 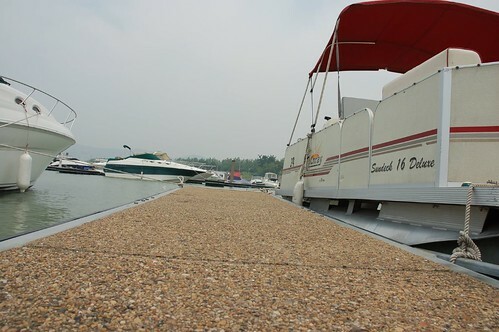 The dock of the boats – clean and nice. Wendy took this picture during her course to learn to take photos. 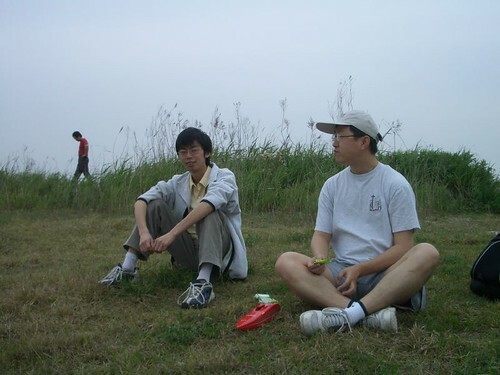 She demostrated the effect of a wide angle shot – the method to produce gaint-like picture. She obviously succeeded. 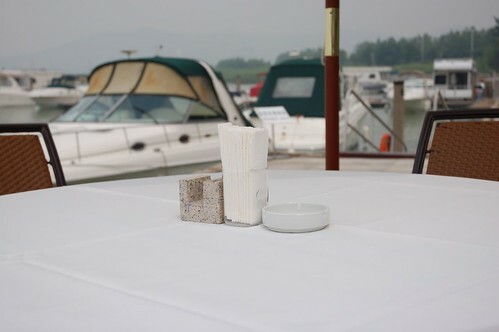 Enjoying the Sun and clean white table cloth and the good view of boat. There are some motor boat as well. 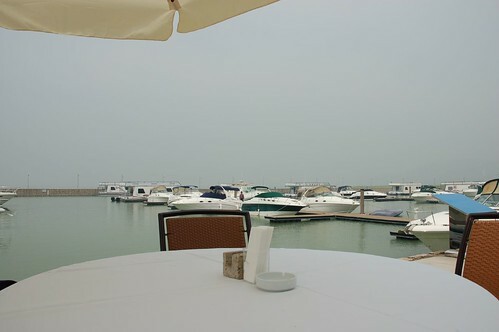 The whole view of the dock at the boat club. Going under the West Hill Bridge, which connects the land and the West Hill Island. Another section of the bridge. 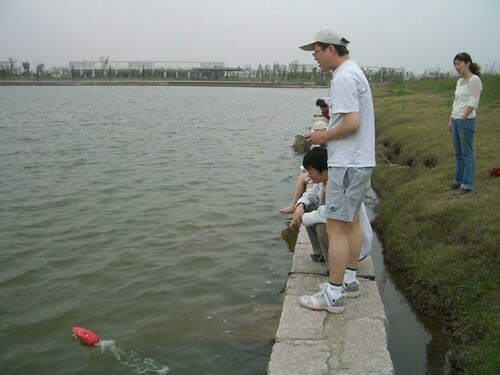 Something bad about the Taihu Lake is, it is not deep enough. 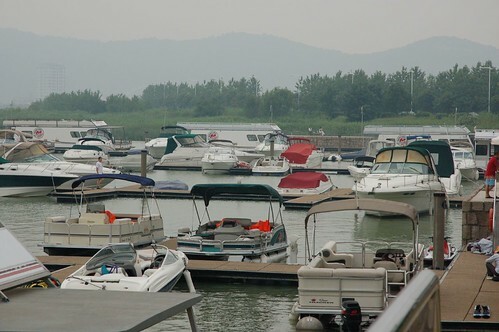 Boats need to park at the middle of the lake, and take shuttle boat to the land. The boat is just too big to go near the small dock at East Hill. It was me, before leaving for the BBQ. The boat started to “fly”. People leaving the habor on Sundancer 275. The habor, sweet habor. When I am getting back from one day of sailing, the bridge and lamp of the habor were more nice too me. 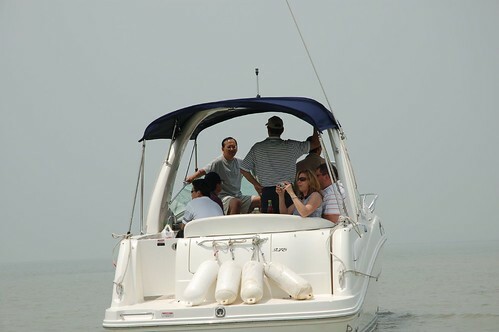 To be honest, I still enjoy quieter boat, like those sailing boat. I just don’t feel too excited on boat powered with huge engines and can run 90 km/hour on the surface of water. For me, there is not big difference than another car. 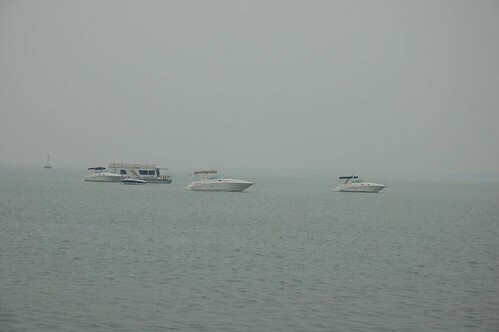 Also, Taihu is not the same after I went out boating for one day. It is not a big lake for me. Instead, there are routes on it that is deep enough and safe enough for boats. You just cannot sail around as you wish – you have to keep the predefined routes on the wide surface of the lake. 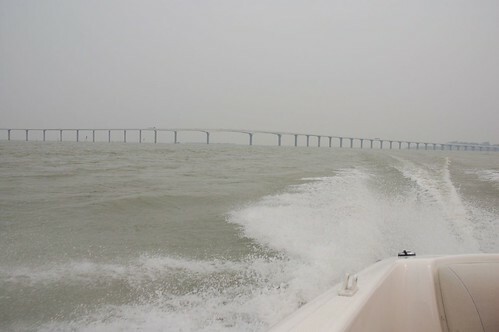 To be short, to have a boat on Taihu does not bring the kind of freedom I expected. Mmm…. I bought a boat two months ago. 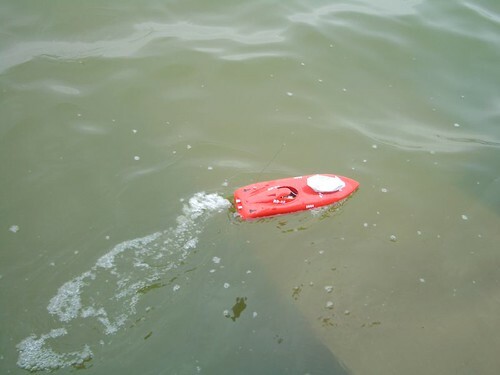 I sailed the remote control boat in all the lakes in my residential areas – the big one in the south, the smaller on in the east and the long one in the west. I even sailed the boat in the Century Park. 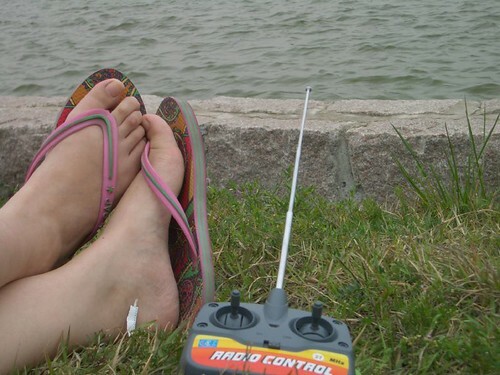 So I happily brought my boat and batteries to the Dishu Lake 滴水湖 near the Dong Hai Bridge. Unfortunately, it sunk into the middle of the lake. Thanks Linda to take the whole process. After the boat went about 10 meters away into the middle of the lake, I felt the control is not working so well. Shortly, water went into the boat, and the boat lean and start to sink. The water broke the motor, and my remote control completely stopped working. 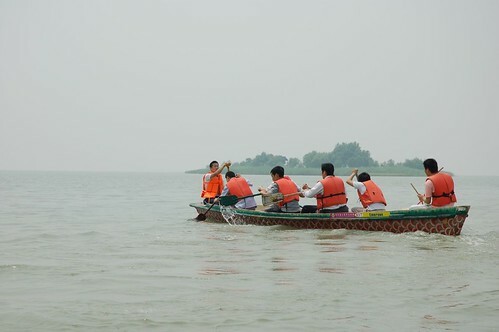 We have to see the rear of the boat went into the water with only the head pointing to the sky. 1 minutes later, the boat completely disappeared under the surface of the water. I have plan to buy a better and stronger boat to replace my first electronic boat. I didn’t know this event before. Anyway, it is the 11th time this event is held in China. Boat is just too far from me. The market of marina hasn’t really started yet. I met with Mr. Yuan, the CEO of a boat importing and reseller company at Taihu. 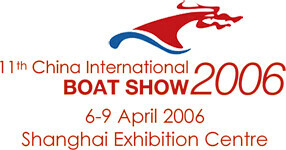 He introduced the boat show to me and generously sponsored two tickets for me. Well. I start to get interested in boat. I guess I will be there next Sunday. Here are the pictures of the last year’s event. 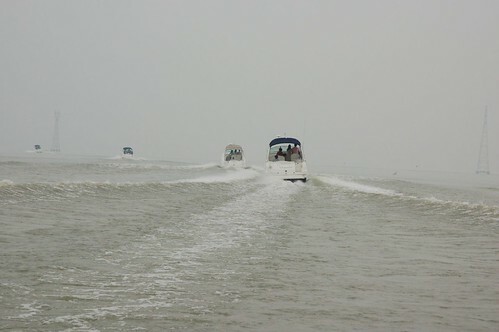 There are many lakes in China, especially the east part of China. But they are very seldom leveraged. People don’t go there for sailing, or surfing. I hope this event will help to promote water sports. P.S. Maglev stopped operation for 1 hour and a half due to technical difficulties this morning. It is not so positive news for Shanghai-Hangzhou Maglev project. P.S. 2: Oriental TV in Shanghai is creating a morning program for bloggers in Shanghai. Anyone interested? Please contact Miss. 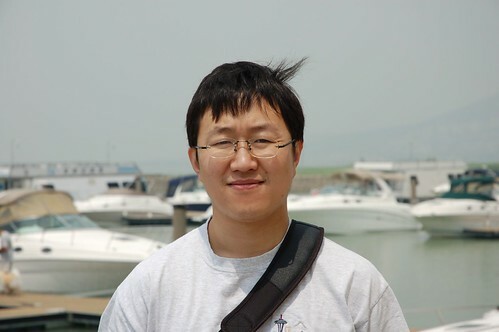 Zhang at [nizizp@126.com]. DSC03122, originally uploaded by jianshuo. 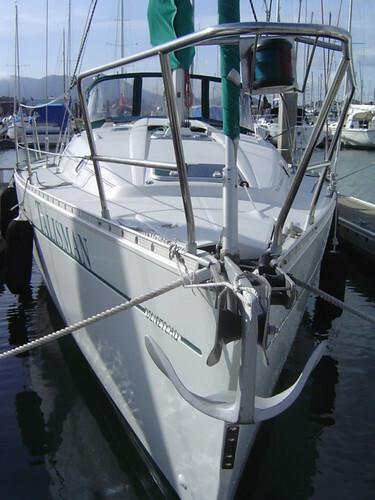 This is the boat we sailed in San Francisco Bay. What a nice boat! P.S. Actually, it is a test post from Flickr.com. I still have concerns to store my password in Flickr, so I didn’t choose to save my password there. If there is some way to post more than one pictures from Flickr to my blog, that will be super cool! Believe it or not, I sailed for the first time in the San Francisco bay. Yann, Alex and Niki are so nice to invite me to join them to sail in the Bay. We started from the marina of the other side of the Golden Gate Bridge around noon, and soon pull on the sail and sail close to the wind. It is a little bit easier to learn how to sail. When we turned off the motor, and pulled up the sail, the boat when to the Golden Gate Bridge at the speed of 2.4 – 3.1 knots. Sometimes, the wind goes up to 30 knots and rains heavily. When we reached the gate and started to move out of the bay a little bit into the Pacific, it is sunny, but the tide is huge. :-) Yann is a perfect captain and we quickly learnt to how sail a sail boat (although not complete). All the pictures are in my camera but I didn’t bring the cable with me. I will post the nice pictures here when I am back.